We’ve been touting yield-generating hard assets, specifically agricultural land, for a little over four years now. In addition to providing investors with cash flow from harvests (in some cases, within nine months after their initial investment) and capital appreciation, productive land also provides you with asset protection and a hedge against inflation. And with the emergence of turnkey farm operations, individual investors can earn hassle-free yields without a huge capital outlay. For all of these reasons, turnkey agriculture offerings have become extremely popular investments. Many of our readers have begun to diversify their real estate portfolios into agriculture, investing in everything from fruit trees (mangos, limes, and avocados) to timber (teak, acacia, and eucalyptus). Like all savvy investors, they want to add another layer of diversification to their portfolio, whether it’s through geography, currency, or type of agriculture (fast crops, fruit trees, or timber). Notably—and specific to agriculture—you can add levels of diversification simply by varying the crop (and by-products thereof). For instance, the market for teak (commercial boat builders and furniture makers) is considerably different from that of avocados (wholesale fruit buyers and cosmetic manufacturers). Grapes… specifically, the production of premium wine grapes. The investment allows you to capitalize on the country’s robust wine production industry for less than US$50,000. 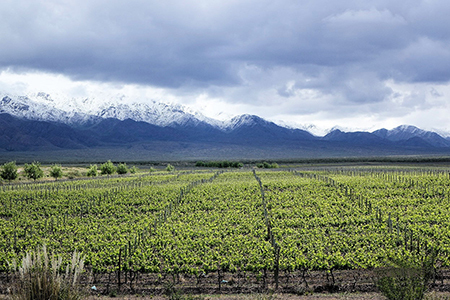 Los Arbolitos is a 408-hectare (1008-acre) vineyard located in the Valle de Uco at the foot of the Andes Mountains in the Mendoza Province, recognized as Argentina’s premier wine-growing region. The area, known worldwide for its viticulture, is home to over 1,200 wineries and accounts for more than 70% of Argentina’s wine production. Argentina itself is the world’s sixth largest wine producer. 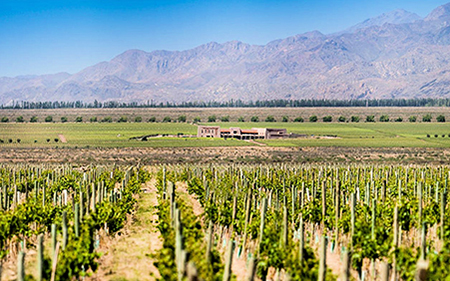 With its combination of high-quality soil irrigated by natural freshwater streams from the Andes, dry climate, and altitude, the Valle de Uco features a unique terroir that’s ideal for quality wine-grape growing. The grapes grown here are considered to be superior to those produced elsewhere in Argentina. The region has the four distinct seasons required for quality wine grapes. The mild winters are cold enough to make the vines go dormant but not cold enough to freeze to cause damage. And the high desert setting turns the requirement to irrigate into an opportunity to manage the amount of water received by the vines season by season. The developer has already planted 264 hectares (652 acres) of different varietals of grapes, including Malbec, Chardonnay, and Pinot Noir, in stages from 2007 to 2012 with its first harvest taking place in 2010. Another 70 hectares (173 acres) is scheduled to be planted within the next two years once water well permits have been approved. That said, the planted areas are already fully mature and producing. The developer has planted different varietals in stages in order to get different harvest times. Most grapes grown in this region are still picked by hand—if all the grapes matured at the same time, there wouldn’t be enough labor for the picking. He also did this to diversify the vineyard, in case some grapes have an off-year due to the weather or other unforeseen variables. How Does The Vineyard Make Money? Los Arbolitos operates solely as a premium wine grape producer and supplier. The grapes harvested from the vineyard are picked and shipped off to various wineries including some of Argentina’s most popular brands like Clos de los Siete and Chandon. Grapes are harvested from March through April. The harvest weight for each type of grape is recorded, and they are then distributed to the wine makers. The wineries begin work immediately to turn the harvested grapes into wine. Then, sometime in May, the vineyard owners meet with the winery owners to negotiate the price of the grapes. Clearly, the practice of negotiating price after the winery has already used the product sounds backwards… but it’s a tradition that’s been working for both the grape producers and wine makers for generations. Each party recognizes that it’s in their best interest to play fair. The wineries will need more grapes next year, just as the vineyards will need to sell next year’s harvest. If either side walks away from these negotiations feeling like they’ve been burned on the deal, the other side runs the risk of losing them as a customer or seller next year or, worse, lose their business altogether. Once the price is agreed to, the winery makes an initial payment to the vineyard with the remaining balance to be paid over time. Typically, the wineries make 10 monthly payments to each vineyard from which they purchase, meaning that they’re paying for the previous year’s grapes up until the next harvest season. Los Arbolitos provides investors with the opportunity to earn annual returns of 14% by partnering with an experienced and established vineyard operator for a low minimum investment of US$47,500 per hectare. Right now, only 10, one-hectare units are available for new investors. Remember, the vineyard is already producing, so you can expect a partial payout as early as 2017. The developers are projecting a full net annual payout of US$6,740 per hectare starting in 2018. Returns are expected to continue at (or above) that level until 2031. The typical life cycle of a vineyard is 25 years from the start of planting. In the case of Los Arbolitos, the first planting was in 2007. However, if the vineyard is well-tended, you can extend its life cycle substantially. It could produce grapes for generations, since vineyards can produce in perpetuity if cared for properly. When one grape vine dies, a branch of it or its neighbor is dug into the ground and takes its place. Given that a well-tended vineyard can have a never-ending life cycle, you’ve got a considerable capital appreciation upside. At the moment, top-end producing vineyards in the Valle de Uco (where Los Arbolitos is located) are valued at around US$120,000 per hectare. In the next three years, the developer projects the vineyard’s value per hectare to be at least 50% above today’s price of US$47,500. In addition to the income generated from the sales of the grapes, along with the capital appreciation potential, the developer has set aside 25.9 hectares (63 acres) for the development of an exclusive residential community within Los Arbolitos. The community will feature 83 residential lots, a guesthouse (already complete and operational), a social area, and a small, private, community-owned vineyard. The lot prices will range from US$90,000 to US$160,000, and the net proceeds from lot sales will be shared among Los Arbolitos vineyard investors. If you like the vineyard lifestyle that’s been catching on so quickly in this region, you can invest in the vineyard operation and live here among the grapes as well. Particularly in Argentina, investors have to be concerned about the political risks that could adversely affect the country’s wine industry. For example, Argentina’s wine exports were negatively impacted due to currency-exchange controls instituted during the second presidential term of Christina Kirchner. As a result of these controls, inflation in the country grew by as much as 40%, resulting in higher labor costs and reduced profit margins. According to some industry insiders, labor costs for grape producers grew by at least 100%. That said, Argentina’s newly elected president, Mauricio Macri, lifted these exchange controls at the end of 2015. Since then, grape prices have increased by 50% in U.S.-dollar terms… so it looks like the political risks are minimal for the foreseeable future. Weather risks could also affect production. While the weather in this region has been quite volatile over the past few years, with much more rain than usual, production has not been affected. Then you have the market risks. For example, before 2010, Argentina’s wine industry experienced a decade of huge growth fueled by wine exports to the U.S. market. During this period, American wine enthusiasts were raving over Argentine Malbec. However, since 2010, the growth in exports to the States has slowed, in part due to Argentina’s economic policies… but also due to increased competition in the wine market, too. Though Americans are still fond of Malbec wine, California- and Washington State-produced red blends have gained a lot of traction Stateside, cutting into Malbec’s market share. Yet wine industry experts are still bullish about the future of Argentine wine. For one, Malbec remains one of the most sought after grapes in world. Plus, over the last two decades significant investment has been made in the country’s wine industry, specifically in the marketing and promotion of its wine throughout the world, along with the development of their own in-country, high-quality wine professionals like oenologists, sommeliers, and viticulturists. And the country’s unique terroir, which is ideal for premium grape production and allows for the production of several different varietals, makes the investment more secure and diverse. Los Arbolitos provides investors with additional layers of diversification in terms of location, asset type, and crop variety. 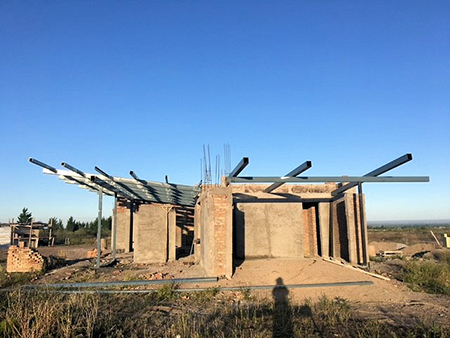 The investment is located in Argentina, and it’s a vineyard that produces several different grape varietals, including Malbec, Chardonnay, and Pinot Noir. 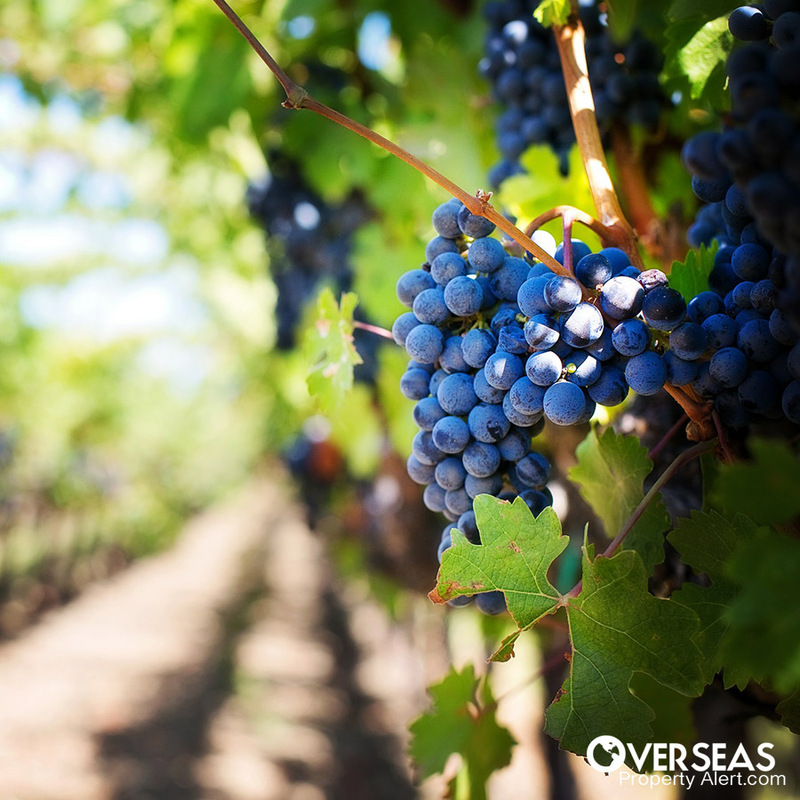 The production of different grape varietals allows for different harvest times and markets. The project is already up-and-running with annual harvests. Plus, they’ve already got major buyers in place for the harvest. Argentina has made a commitment to advancing the wine industry through the worldwide promotion and marketing of its wines and through the development of first-rate wine professionals within the country, ensuring that the country will be able to compete with other top wine-producing countries for decades. Los Arbolitos allows investors to capitalize on above-average yields (for generations) plus capital appreciation for a low capital investment of US$47,500. Finally, investors can earn additional income from the sale of residential lots within the vineyard. If you think that this investment makes sense for your portfolio, you can ask questions, get an information package, or make a reservation here. Remember there are only 10 vineyard units available for investment, so, if you’re interested in this opportunity, you should act now. Get in touch with the developer here. Editor’s Note: Omar Best is editor of Global Property Advisor, a premium subscription service focused on buying property abroad for investment or lifestyle. He’s also our front-running property scout and is often the first person on the ground when targeting new markets or opportunities. Omar is an expat based in Panama City, Panama. I’m grateful to Omar for putting together this week’s issue, as I’m in the process of packing a GMC pickup with a full load of American goods bound for our new place in Mazatlán, Mexico. Every available ounce of the 1,600 allowable as payload is accounted for. As a new resident, I’m entitled to import a household duty-free… but for expediency I’m just going to drive over the border and pay the duty. It’s easier for a small amount of goods. Are you able to tell me what part of the Algarve you were referring to in your quote below? That quote appeared in the announcement I wrote for this year’s Global Property Summit… an event in which the Algarve is featured prominently. While researching that letter, I got a note from an old friend who’s a long-time expat and property investor telling me of his recent find. His apartment is in Portimão, just east of Lagos on the Algarve. It’s a front-line building, which of course has an expansive ocean view. Regarding your article on cool weather locations, I am looking for a cool-weather overseas destination, which would also have swimmable lakes. Could you recommend such a place? I’d recommend the Lakes District in Chile, a chain of lakes in the western foothills of the southern Andes. The towns of Pucón and Villarrica would be a good place to start. I’d much appreciate your views on what now seems to be a complex problem. My wife (a Peruvian citizen living in Canada) is joint owner of an apartment in Lima with an elderly and unmarried aunt. Her aunt has a will leaving her own half to an unmarried and younger sister, but that sister has not made a will. It was always intended that the apartment will eventually pass to our two daughters. If the sister does not make a will, it appears that her remaining family, (brothers and sisters) could contest and claim a share, once she dies. Can that be avoided by that younger sister making a proper will? The first step in conveying the property to your daughters is to have your wife execute a will in Peru. Your daughters would inherit her share of the property anyway, but having a will makes conveyance cleaner and faster. It can also put your daughters “on the record” with this property. I can’t speak for Peru specifically, but generally speaking in civil-law countries, the only protected heirs are children and surviving parents. You can’t disinherit these heirs, even if you do so in a will. So if her parents are gone, the aunt’s younger sister can execute a will leaving the property to your daughters (assuming she wants to) without violating the rights of a protected heir. I would do this using the same attorney that prepares your wife’s will. This doesn’t mean other relatives can’t make a fuss… but a good attorney should have you covered. Omar Best is a contributor of Overseas Property Alert, focused on buying property abroad for investment or lifestyle. He’s also our front-running property scout and is often the first person on the ground when targeting new markets or opportunities. Omar is an expat based in Medellin, Colombia.